Wife - Maria Alejandra. They married on September 24, 2001. Ex-wives -1st wife Sharon. 2nd wife Eva Herzigova (model from the former Czechoslovakia, they married in Sea Bright, NJ on September 7, 1996. This was Tico's second marriage and Eva's first. Tico and Eva divorced in 1999), 3rd wife Maria Alejandra, also divorced. As a young jazz fan, studying with Joe Morello, Tico never could have imagined the success that would come his way. 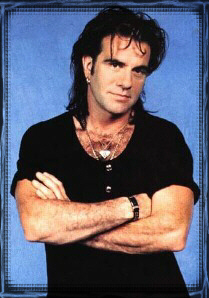 Even before he joined with Jon Bon Jovi in 1983, Tico had already parlayed his drumming into a successful career. His studio and live experience with Frankie and the Knockouts, Pat Benatar, Chuck Berry, Cher, Alice Cooper, and Stevie Nicks helped to establish him as one of the premier players, and even before meeting Jon, he had played on 26 albums. Playing with Bon Jovi has simply been the icing on the cake. He met Alex John Such while playing with a band called Phantom's Opera, and it was his friendship with Alex that led him to Jon. 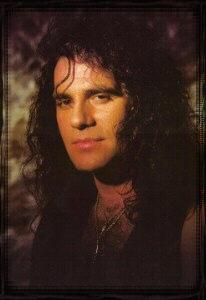 Although Jon was (and still is) many years younger, Tico appreciated his charismatic appearance and accepted the offer to join his band. What really convinced him was watching Jon perform. "The Hitman" Tico discovered another talent: painting. He has exhipted his art since 1994. The successful first show was at the Ambassador Galleries in Soho, New York. Tico is a self - tought painter, who paints expressive pictures which show every days life and the life with the band. Tico owns a fashion line for babies called Rock Star Baby. Beside babyclothing, Rock Star Baby also produces learning methods and cartoons. Tico also has an official Pilot's licence. His first marriage ended shortly after he joined the band. He then married Eva Herzigova, a model from the former Czechoslovakia in Sea Bright, New Jersey on September 7, 1996. The ceremony was attended by their closest friends and family including the members of Bon Jovi. Jon and the boys serenaded Eva and her hubbie with Always during the dance. Unfortunately, blaming Eva's hectic modeling career, their marriage ended 3 years later. Perhaps the thrid time is the charm, as Tico married Maria Alejandra in September 2001.